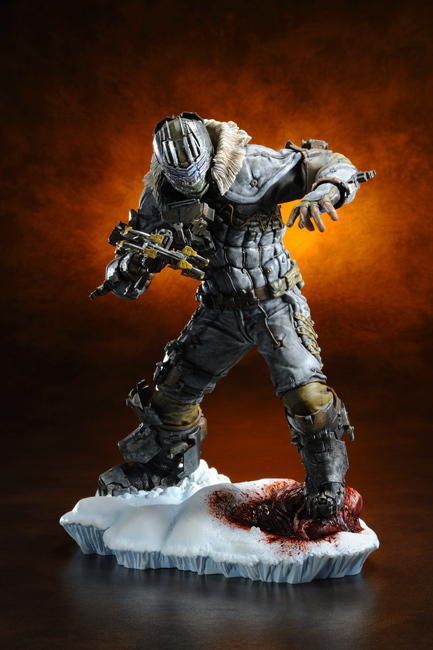 Kotobukiya ARTFX Statue Giveaway: Isaac Clarke from Dead Space 3! We hope you had as much fun with last week’s Tomb Raider Action Figure Giveaway as we did! The pair of Lara Croft action figures are now making their way to lucky winner! 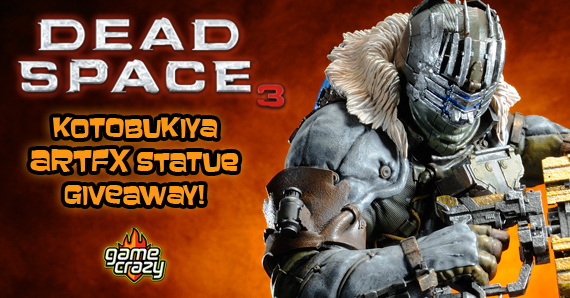 We’re excited this week to once again partner up with our friends at Kotobukiya, and together we’re giving away a stunning Isaac Clarke ARTFX statue from Dead Space 3! Kotobukiya is one of the world leaders in licensed collectible manufacturing, and is renowned for their quality and dedication to craftsmanship. Click here to like them on Facebook, and continue reading to find out how you can enter to win this stunning collector’s piece! A Kotobukiya Japanese import! 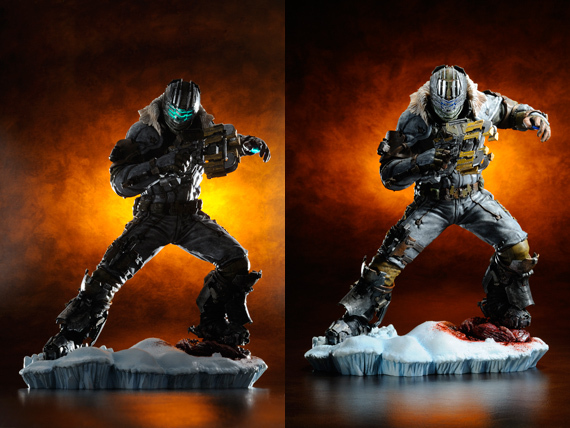 The next hit video game series to join Kotobukiya’s ranks of ARTFX statues is the epic Dead Space. The first game was released in 2008, introducing players to the horror/science-fiction setting where you must fight and dismember Necromorphs to stay alive. 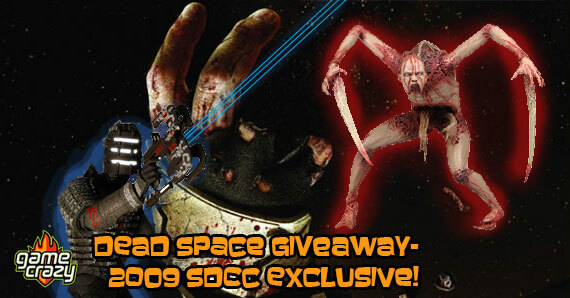 That game was followed up by a sequel in 2011, and Dead Space 3 was released in February 2013. Making his stunning ARTFX debut in his look from the third game is the main player character Isaac Clarke! Tracking down the galactic menace to stop it once and for all, the former engineer turned hero Clarke stands triumphant after finishing off a Necromorph on the frigid Tau Volantis. Isaac wears his iconic Resource Integration Gear suit, complete with slitted facemask, which has new alterations for the third game and its arctic setting. His gear is incredibly detailed with mechanical components, different textures of cloth, belts, pouches, seams, clothing creases, a fur-lined collar, and much, much more. The RIG suit flexes around Isaac as he lunges to one side in a battle stance with his trusty Plasma Cutter in hand. The coolest part of Clarke’s look has always been the energy glow of his mask and other components, and Kotobukiya has recreated that with LED lights in the statue’s helmet, backpack, and glove! There’s even a ball-joint in the hero’s neck so you can pose him to your liking. 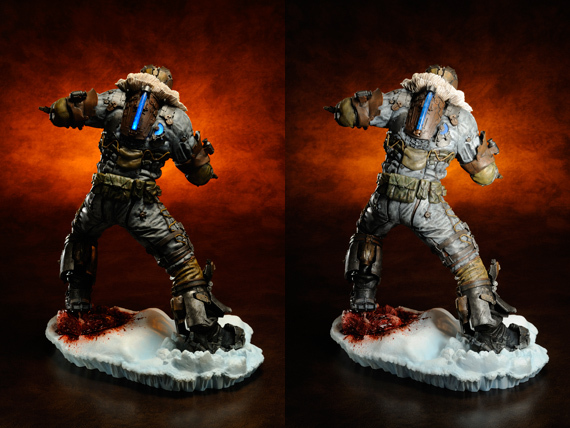 Isaac Clarke stands nearly 12 ½ inches tall (1/6 scale) on an amazing snow terrain display base complete with the bloody remains of the last Necromorph! 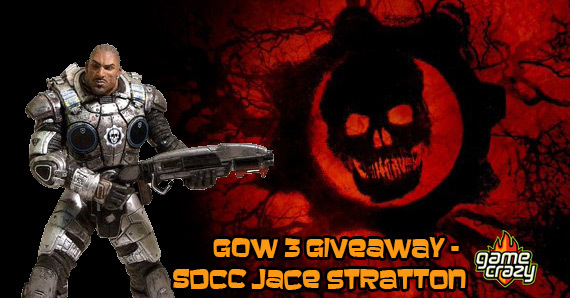 This entry was posted in Contests & Giveaways and tagged dead space, dead space 3, isaac clarke, Kotobukiya, kotobukiya artfx statues by gcadmin. Bookmark the permalink.